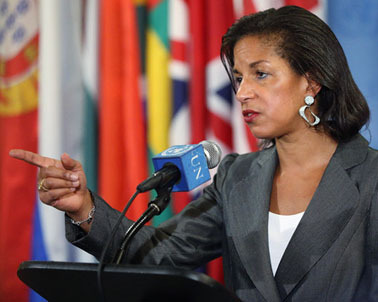 Do Susan Rice’s Canadian connections disqualify her as US secretary of state? 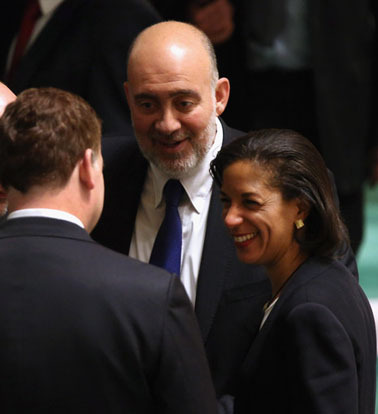 Susan Rice, US ambassador to the United Nations, speaks with Canadian Foreign Minister John Baird (L), and Israeli Ambassador to the UN Ron Prosor (C) at the UN General Assembly on November 29, 2012 in New York City. The United States, Israel, Canada and a handful of others voted against the historic UN resolution granting "non-member status" to a Palestinian state. 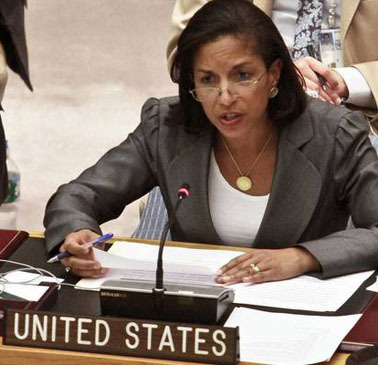 Another explanation for the “unrivalled obstructionism” of the GOP’s “highly unusual … coordinated, partisan campaign to attack and derail Rice’s possible nomination” as secretary of state is that Ms. Rice was a strong (and effective) critic of John McCain’s “reckless” foreign policy agenda in the 2008 presidential campaign. Senator McCain and his cronies have decided that now is the time for sweet revenge — or whatever the more genteel expression may be. 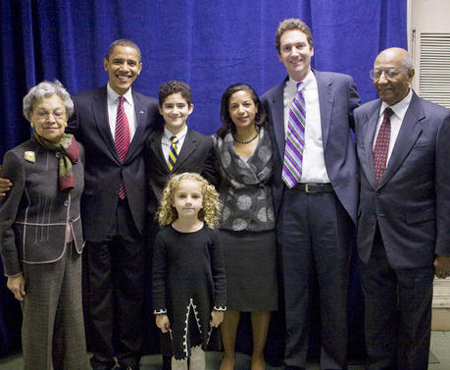 United States Ambassador to the United Nations Susan Rice with Canadian-born ABC News producer hubbie Ian Officer Cameron, their two children, her parents and President Barack Obama. 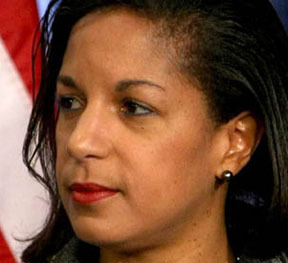 Why, you may ask (especially if you are a Canadian) does this particular Ms. Rice (and note that Democrat black female foreign policy specialist Susan Rice is no relation to Republican black female foreign policy specialist Condoleezza Rice) have so much money invested in Canada? 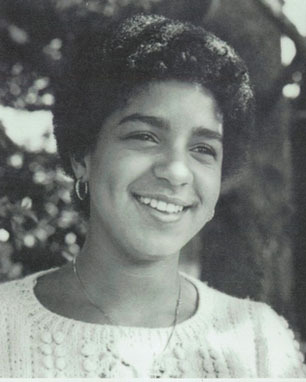 Susan Rice at high school — the National Cathedral School in Washington, DC. 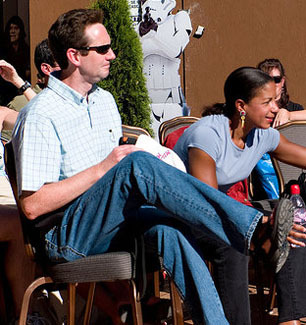 Ian Cameron and Susan Rice in a rare moment of relaxation. The Rice-Camerons have now been married for 20 years. And as you might expect, various things have changed. 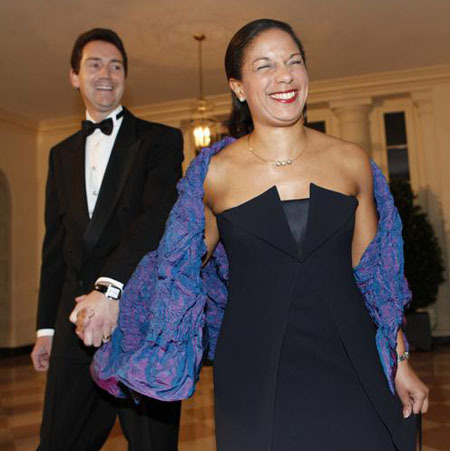 Susan Rice went to work for the Clinton administration not long after her wedding. 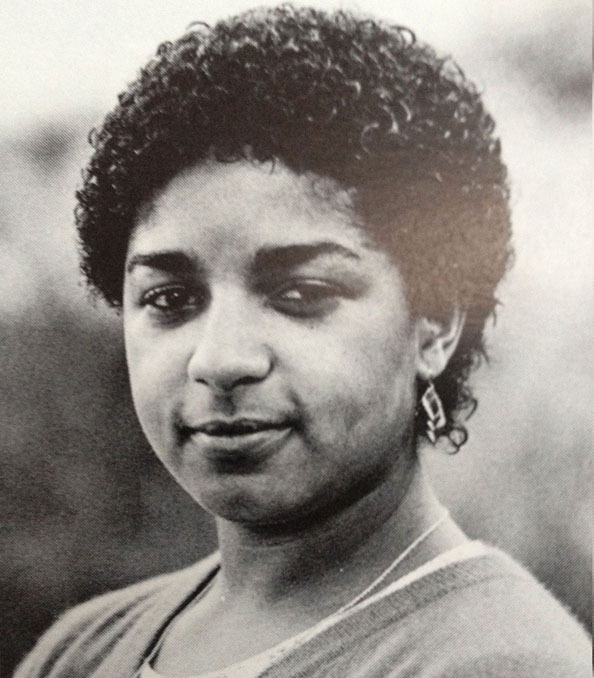 Her career was helped along by “longtime mentor and family friend … Secretary of State Madeleine Albright” (as well as Ms Rice’s own intelligence and assiduous hard work). When the Clinton administration gave way to George W. Bush, Susan Rice went to the Brookings Institution liberal think tank in Washington. Then she became foreign policy advisor for the 2008 Obama campaign, and US ambassador to the United Nations after the 2008 election. Along the way the Rice-Camerons managed to have two children. 4. 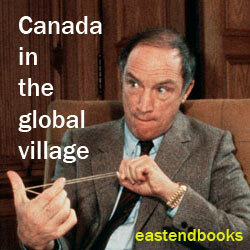 Do the Canadian connections doom her candidacy as US secretary of state? Yet Shields and Brooks said nothing at all about the rather different new environmentalist critique of Susan Rice as potential US secretary of state, based on her Canadian financial investments in businesses linked to the Keystone XL pipeline proposal. 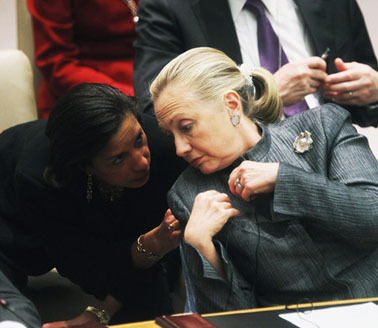 US Secretary of State Hillary Clinton (R) speaks with US ambassador to the United Nations Susan Rice (L) at a United Nations Security Council meeting on the crisis in Syria, January 31, 2012, New York City. 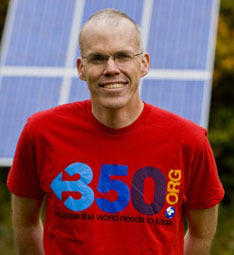 Along with Bill McKibben and the onearth.org wesbite, other US sources have nonetheless joined in on the new environmentalist critique of Ms Rice. 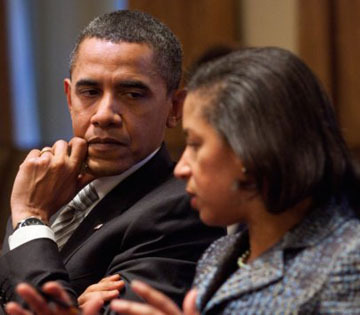 See, eg : “Susan Rice Holds Stock in Keystone XL Oil Firm … TransCanada is seeking federal permission to transport Canadian tar sands oil to the U.S. Gulf Coast. 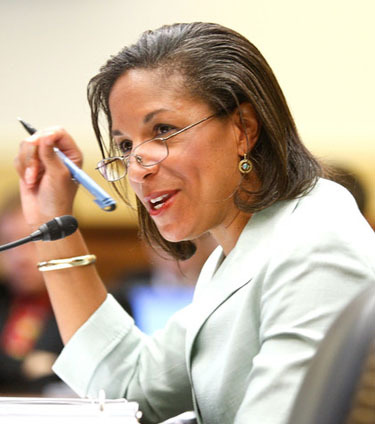 If confirmed as secretary of state, Rice could play a key role in determining the fate of the pipeline” ; “Susan Rice holds TransCanada stock … Environmentalists quickly criticized the potential selection of Rice given her investments … According to the Office of Government Ethics, federal officials holding significant amounts of stock conflicting with their duties must sell the stock, recuse themselves from the decision or set up a qualified trust”; “Susan Rice holds stock in Keystone pipeline developer … The holdings open up Rice … to criticism from environmentalists at a time when she’s already under fire from Republicans … The White House did not comment Wednesday [November 28] when asked whether Rice would divest the holdings if nominated for secretary of State … Administration officials are able to recuse themselves in matters where there is a conflict-of-interest.”. 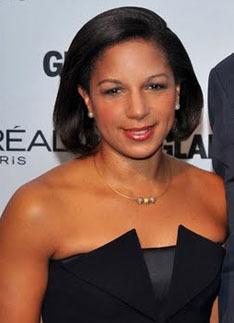 * According to Shields and Brooks on the PBS News Hour last night, one key objection to Ms Rice’s candidacy as secretary of state, even among so-called reasonable Republicans, is that she is too”political” in her foreign policy judgments — ie too ready to defend the particular agenda of the Obama administration. Another way of putting this may be that she is just too effective a Democratic defender of administration policy. And for two You Tube clips that show just how effective she was during the 2008 Obama campaign, see “Obama foreign policy adviser out-debates Laura Ingraham” [at FOX News] ; and “Morning Joe gets schooled by Susan Rice” [where Morning Joe is one of the few token Republicans at MSNBC!]. (2) My second conclusion is that it may not necessarily be in the ultimate interests of Susan Rice’s and Ian Cameron’s investments in a quite wide array of Canadian businesses and economic activities for the XL pipeline from Alberta to Texas to finally see the full light of day. Their Canadian investments might be just as or even more profitable if more Western Canadian energy resources were sold to China — and Eastern Canada! My own guess is that the Obama administration does finally intend to approve the Keystone XL pipeline, regardless of who is secretary of state (and regardless of just how loud Bill McKibben screams). But I don’t think that Susan Rice’s narrow financial interests are necessarily as closely tied to the fate of the XL pipeline as some of her environmentalist critics seem to believe.